Wellness is being repackaged in a hip new way for Millennials and Boomers, who are both prioritizing health and well-being as a key part of their lifestyle and leisure pursuits. Consumers are also folding wellness in with spiritualism, which is similarly getting a hipper image. Wellness tourism is on the rise—the Global Wellness Tourism Congress predicts growth of 55% by 2017. Watch for more retreats like Le Nuage in France, a hip luxury wellness spa by Philippe Starck that opened last year in Montpellier, offering health, fitness and relaxation facilities. Consumers of both sexes are spending on wellness. Trend pieces have spotlighted “broga,” or men taking up yoga, for a while. Now big business is finally taking note, with Lululemon opening its first men’s yogawear store, in Manhattan. Along with yoga, meditation is an increasingly popular part of this trend, and now getting mass appreciation for benefits not just in well-being but also in work success. As young urban audiences from Silicon Valley to Manhattan embrace meditation, entrepreneurs are creating cool spaces in which to practice it. Unplug, a new meditation studio in Los Angeles features minimalist white interiors, mood lighting and chic lifestyle goods for sale. 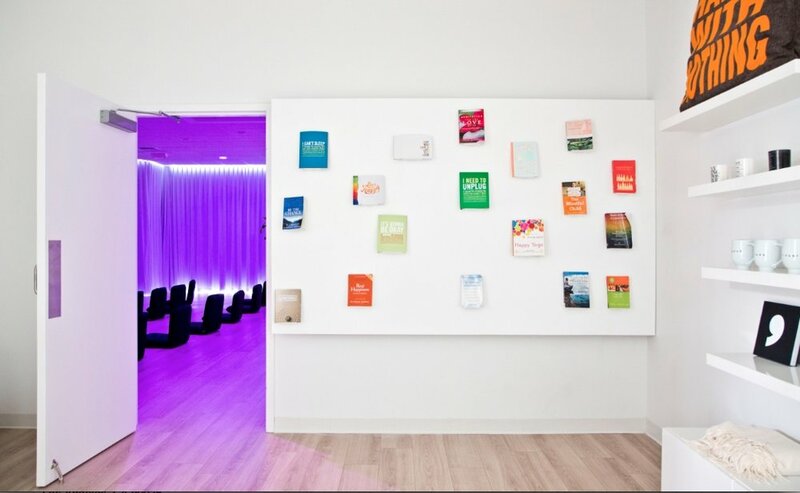 The Path is an invitation-only meditation studio in New York that has emerged as a downtown hub where technology and fashion entrepreneurs relax and network. The rise of these meditation spots is also a sign of a new spiritualism and part of a wave of retail, media and product concepts that present the New Age movement in a cool way. Call it hippie-dom for the social media age—or a call for higher meaning in an increasingly agnostic society. Research by Pew shows that a fifth of consumers globally are not religiously affiliated, yet 37% consider themselves spiritual. Other examples of the new New Age include Gabrielle Bernstein’s Spirit Junkie (which has exploded into a culture of self-improvement memes) and the SoulCycle phenomenon, which aligns spiritualism with fitness. And Sunday Times columnist Ruby Warrington has launched The Numinous, a popular content platform featuring fashion and beauty alongside a “Now Age” section and astrology and tarot content. This post is the second in a series of three from JWT, focusing on different areas of their 'Future 100' report.